Rebekah was born in China. At age two, she was found abandoned and wandering in a city park. She was then taken to an orphanage where she was given a name, a birthdate, and a diagnosis of Down Syndrome. 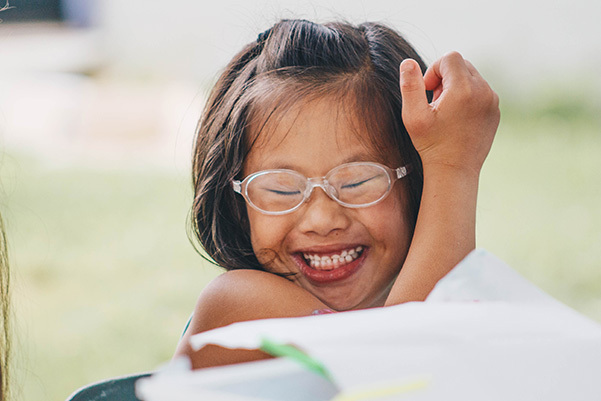 Rebekah’s future remained uncertain until a US adoption agency started an initiative to find homes for children just like her. 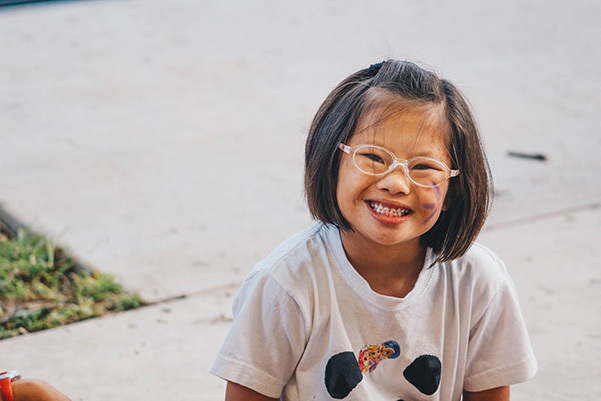 In April 2015, Rebekah’s mom traveled to China and met Rebekah for the first time to bring her home. 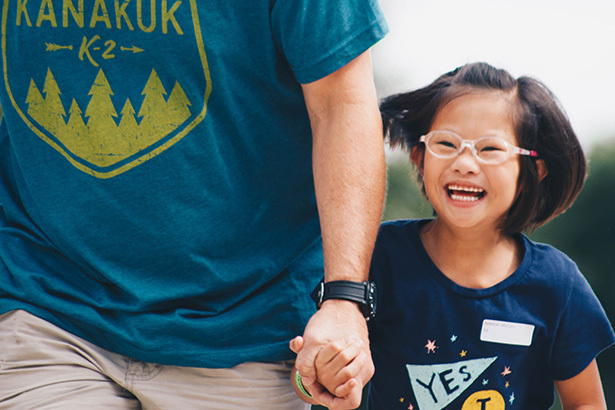 Rebekah and her sister received the opportunity to come to Camp Barnabas last year, and the experience was nothing short of magical. Question: How long have you been coming to camp? 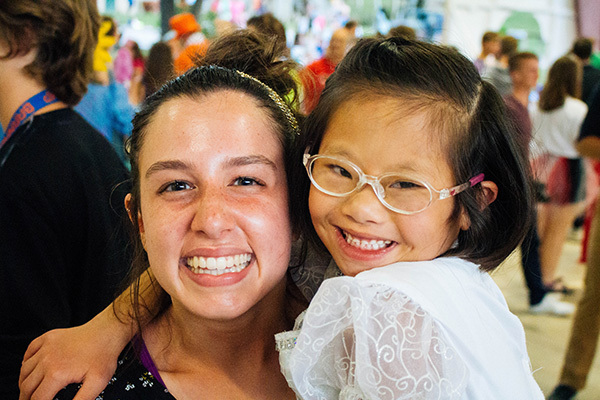 Question: What is your favorite part about Camp Barnabas? Question: What impact has Camp Barnabas had on you? Answer: Being left behind because of my differences. Answer: I love my family and spending time with them. I love the beach and pool. I will be in 2nd grade in school next year. Question: What is her biggest dream/goal? Answer: To be a teacher or a mommy. We can’t wait to see you back at camp this summer!